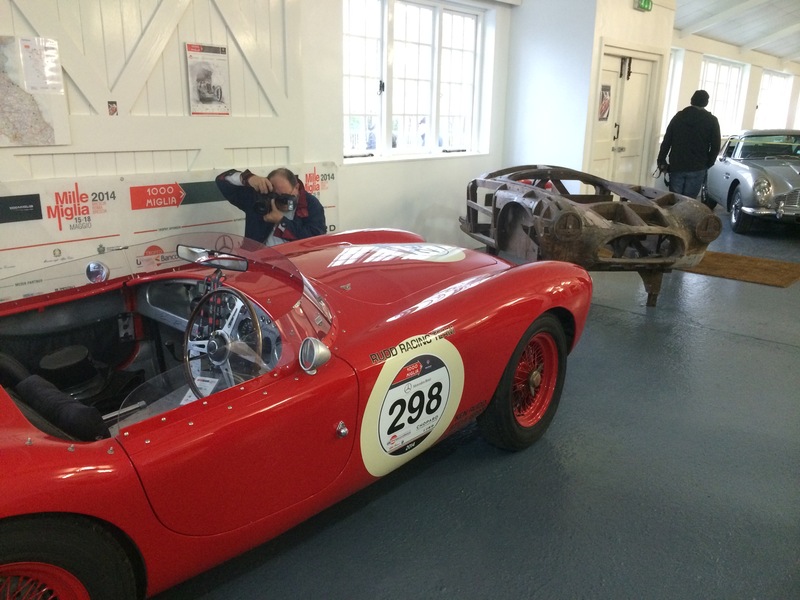 Whilst the weather was little better than it was at last year’s wash out, this year many more classic car owners made the journey to the birthplace of British motorsport for the first major classic car event of 2015. 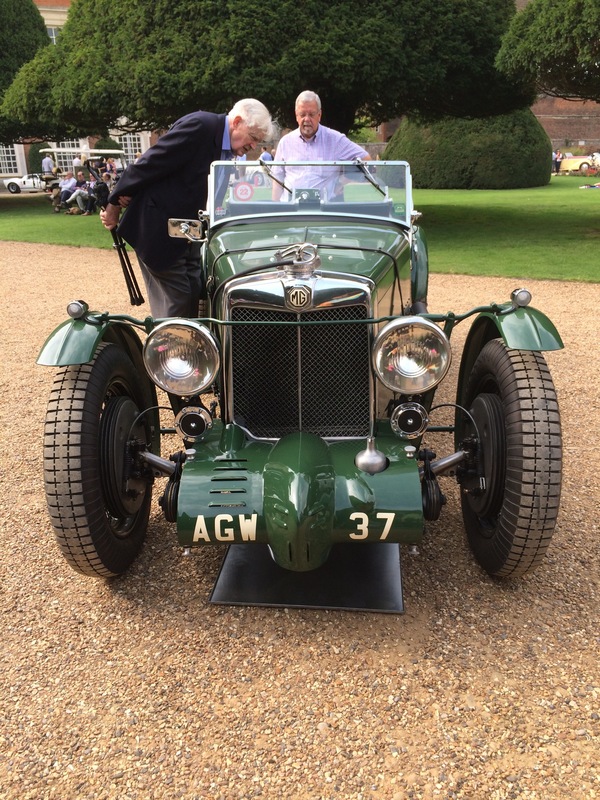 I took along my MG YB, out for its first run since the Mini Tour Britannia last May. It performed faultlessly although it’s less than inspiring reward on arrival was to be parked on some muddy waste ground between the Bus Museum and the old circuit banking. Apart from the somewhat variable quality of the parking spaces available, the other disappointment was the lack of catering provision which meant waiting 15 minutes, even for a cup of tea. 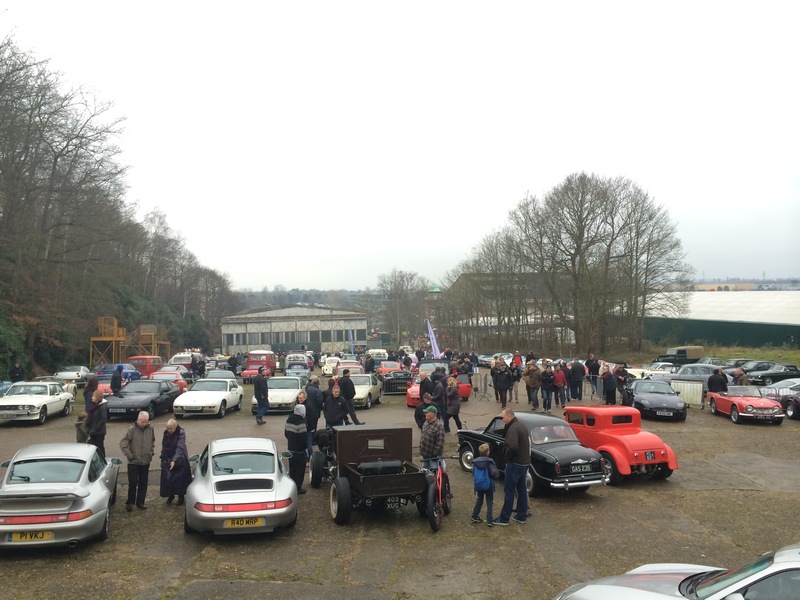 But these logistical problems highlighted what a popular event Brooklands Museum now have on their hands. They must have made a lot of money, which is excellent news as every penny of profit will go towards their work to preserve Britain’s first motor racing circuit and aircraft factory, and the machines that raced or were built there. This immaculate Lea Francis is a rare car. Lea Francis were a high end car manufacturer based in Britain’s Detroit, Coventry. Like so many other motor companies, they started making bicycles at the end of the 19th Century before moving on to motorcylces and eventually cars in the 1920s. Known for hand building exquisite well engineered cars, their products also had a reputation for being expensive and exclusive. This Lea Francis is a 2.5L Sports. Only 77 were built between 1950 and 1953 when Lea Francis ceased car production. 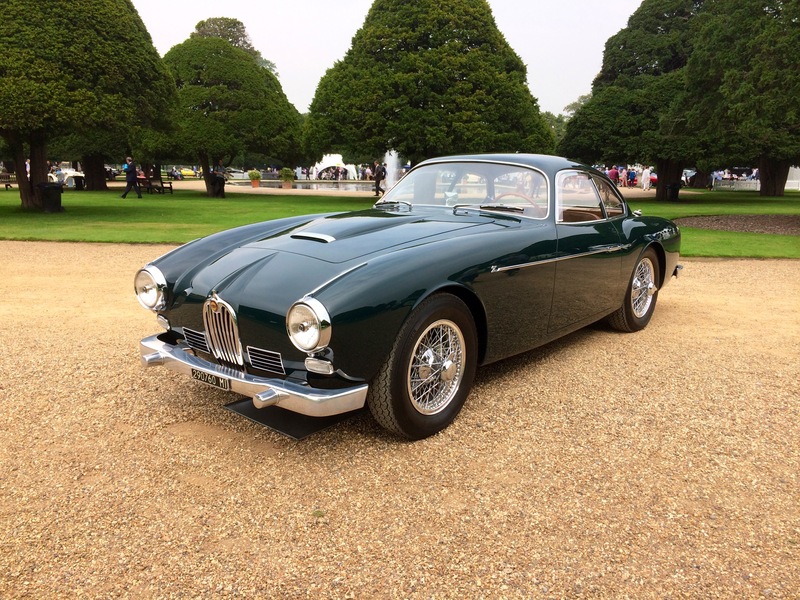 The low build volume is explained by the fact that whilst the 2.5L Sport possessed good performance, it was slower than its contemporary, the Jaguar XK120, which was also substantially cheaper. 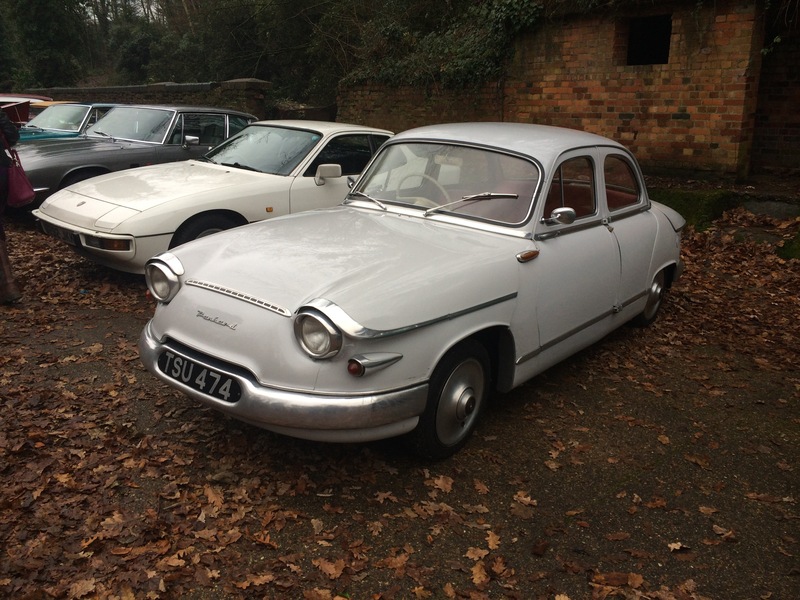 Oozing quirky Gallic charm, the Panhard PL17 was a development of the revolutionary Dyna Z1 launched in 1953. Like a modern day McLaren or Alfa 4C, the Z1 was built without a chassis, the front and rear subframes bolting on to a central tub. 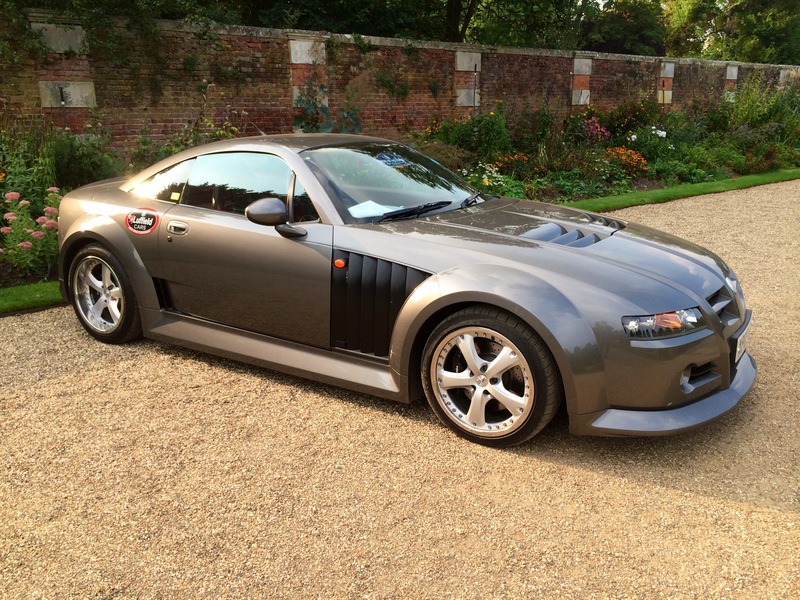 Rather than being carbon fibre, the Z1 tub was all aluminium – equally revolutionary in its day. The rest of the structure of the car, including its aerodynamically efficient bodywork, was also aluminium. This resulted in a car that was much lighter than its peers with consequent performance and fuel economy advantages. Years before “ground effect” in F1 Panhard made sure the underside of the Z1 was as flat and smooth as possible to further enhance efficiency and performance. Powered by an 850cc flat twin engine the car was remarkably fast (95mph) and fuel efficient (50mpg claimed). Sadly, by the time this PL17 was built (in about 1961) Panhard had changed to steel construction to reduce production costs and therefore sale price. 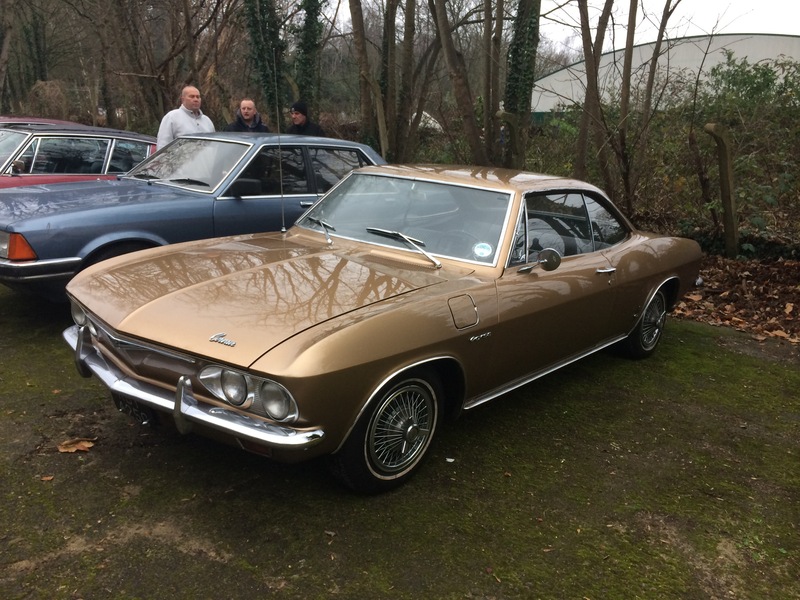 A new feature this year was the open day held by the Brooklands Motor Company whose works occupy the old Members Restaurant at the top of the Test Hill. This historic building had been decaying until BMC acquired and restored it. Where well-heeled BARC members once took tea, BMC now fettles and restores AC cars. 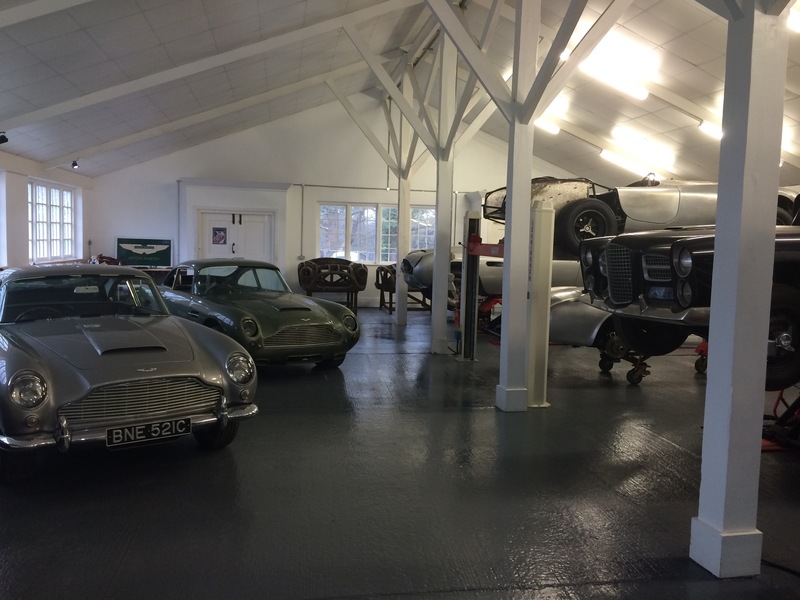 Aston Martin DB3 and 5 with a Facel Vega on a lift and assorted dismantled AC’s in the old dining room of the Members Restaurant – now Brookland Motor Company’s smart works. Below are some of the more interesting cars that caught my eye. 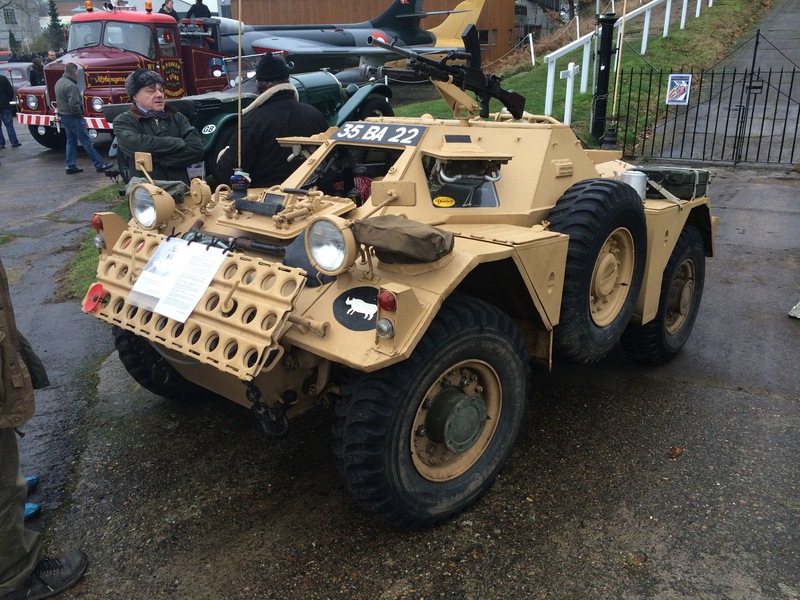 This Daimler Ferret scout car was built in Coventry in 1953. It served in the British Army for the next 40 years spending time in Jordan, the UK, and West Germany and seeing action in Aden, Northern Ireland and Kuwait and Iraq in the First Gulf War. Powered by a 4.25L Rolls Royce engine, top speed is only 56mph but as a driver you would be protected against small arms fire. And you’d have a machine gun – or two.. 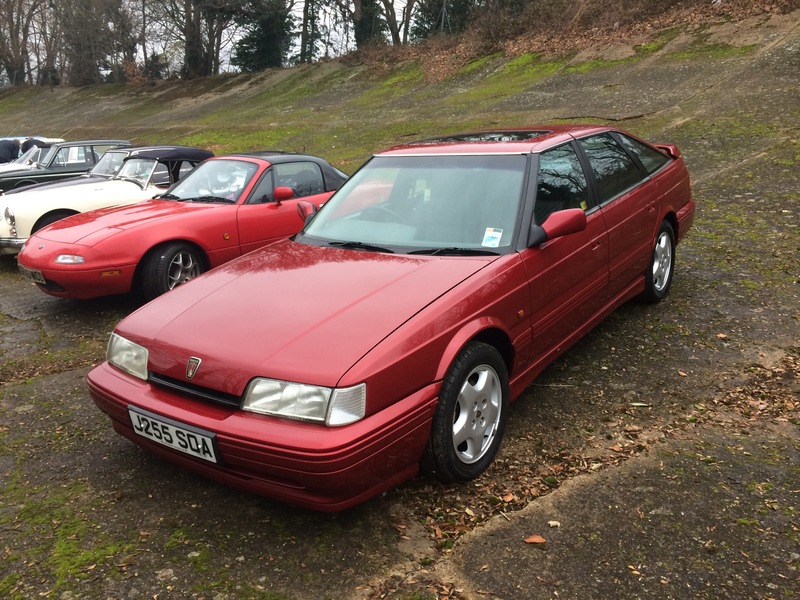 This immaculate 1992 Rover 800 Vitesse is a rare survivor of the Honda / Rover cars that resurrected the brand when it was owned by British Aerospace. These Rovers successfully combined Japanese reliability with British design flare into a pretty compelling package. The Chevrolet Corvair was America’s answer to the Porsche 911. Rear engined and air cooled it was sporty and handsome. Unfortunately, due to cost cutting its rear swing axle rendered it liable to often fatal understeer. This was highlighted (amongst other industry faults) by crusading lawyer Ralph Nader in his classic 1965 book “Unsafe at Any Speed”. Rather than address the car’s design shortcomings the initial response of GM to Nader’s book was to try and smear his name. Nader was systematically harassed, his phone bugged, he was threatened and there were even attempts to entrap him with call girls! GM eventually had to apologise to Nader and pay him substantial damages. They also redesigned the suspension of the Corvair to make it safer but by then it was too late. It wasn’t Nader’s reputation that was destroyed by the furore but the Corvair’s. 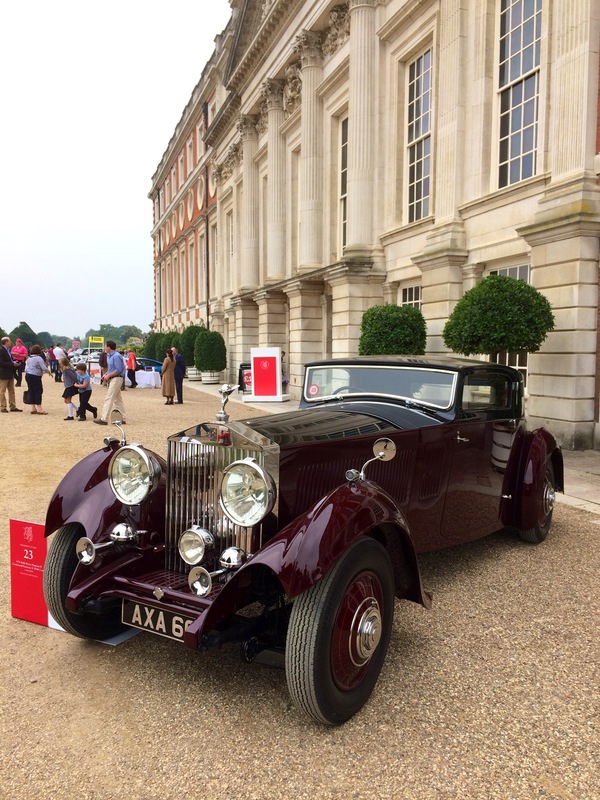 The concours of elegance which have been held for the last three years at various royal palaces have emerged as the premier concourse d’elegance in the UK. The first event at Windsor Castle in 2012 was a great success. Last year’s event at St James’s Palace was also good though a rather less grand affair. This year’s event at Hampton Court Palace was the best yet. 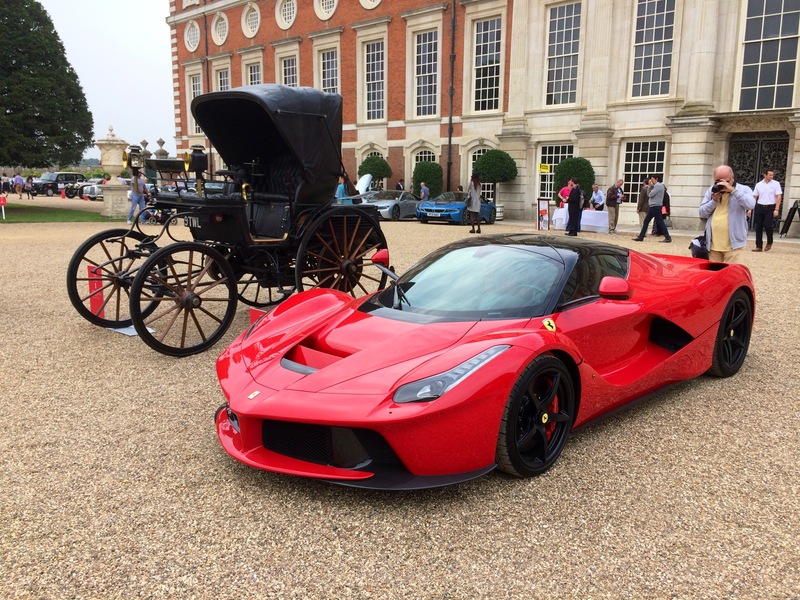 Held in the grounds of Henry VIII’s palace on the banks of the River Thames, this year’s event was blessed with good weather and a fantastic turnout of world-class cars. Indeed many of the cars in the concourse had been shipped across the Atlantic direct from Pebble Beach. 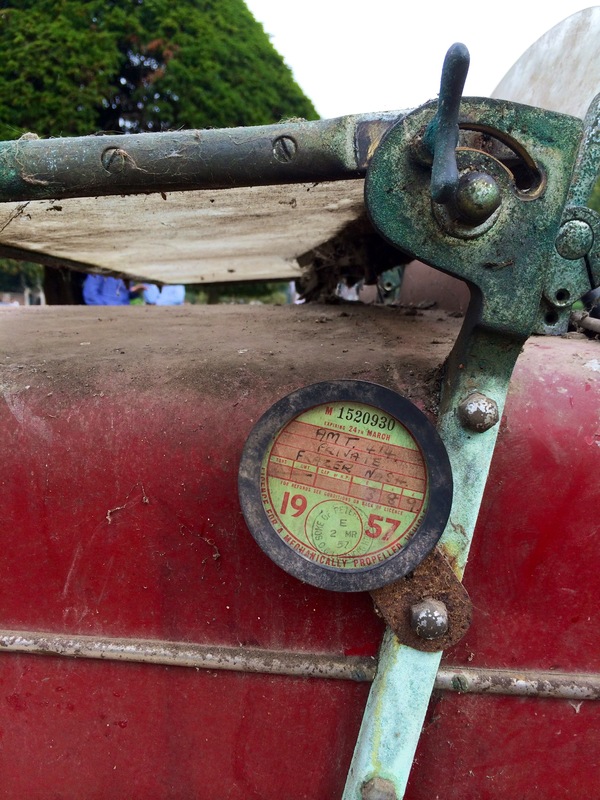 As in previous years, the premier motoring clubs in the UK were invited to enter 50 cars each for a supporting show. 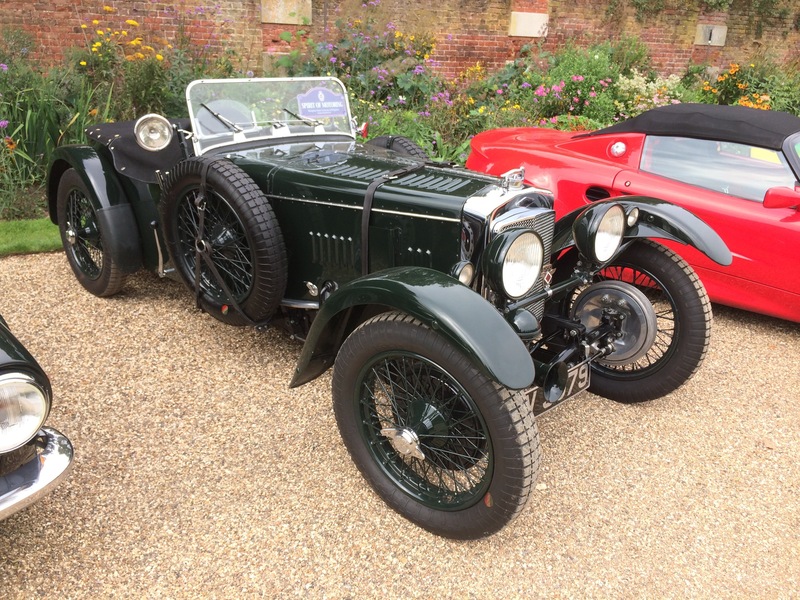 I entered my MG SV with the Royal Automobile Club. Having become an established feature of the London motoring scene next year’s event will be held at Holyrood House in Edinburgh, the Queens official home in Scotland. Whilst this will undoubtedly provide grand surroundings and whilst Edinburgh is a fine city, I wonder whether there will be a sufficiently large market to support an event of this nature. We will find out next year. 1933 MG K3 under close examination. Lord Bamford’s gorgeous 1933 razor edge Rolls Royce Phantom II Continental. The one off coupe coachwork was carried out by Freestone & Webb. 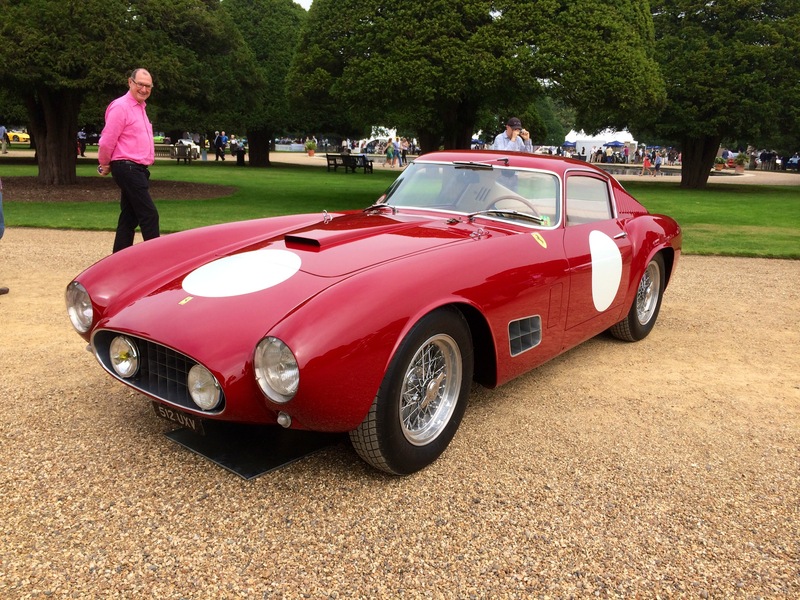 Lord Bamford showed the same car at Salon Prive and the Goodwood Revival the following weekend. Well you would, wouldn’t you? Epitome of 50’s sports cars, 1957 Ferrari 250 TDF GT Scaglietti Corsa Berlinetta. Old and new. 1896 Lutzmann Victoria and 2014 Ferrari LaFerrari. 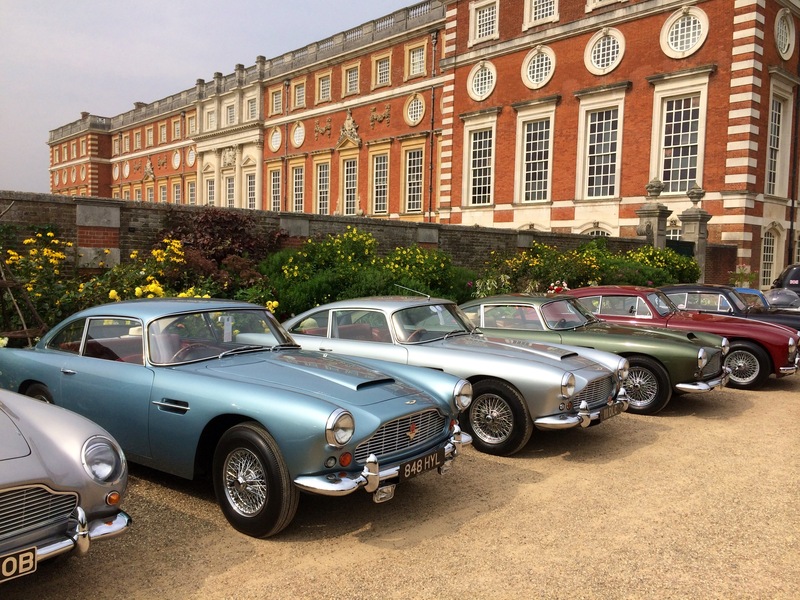 The Aston Martin Owners Club brought a fine selection of DB4’s and 5’s. 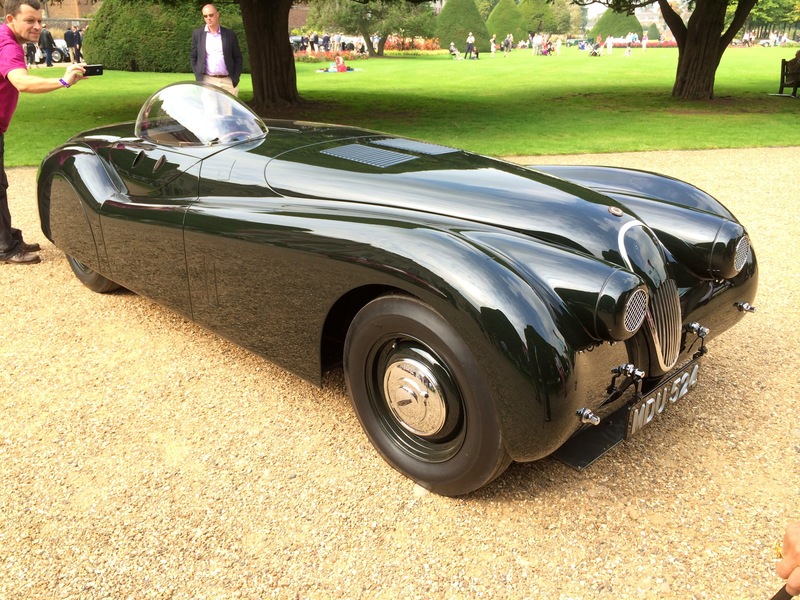 Jaguar XK120 Jabbeke Coupe. This modified XK120 was built to claim back the Land Speed Record, which it did at Jabbeke in Belguim in 1953 at a speed of 172 mph in the hands of legendary Jaguar test driver Norman Dewis. 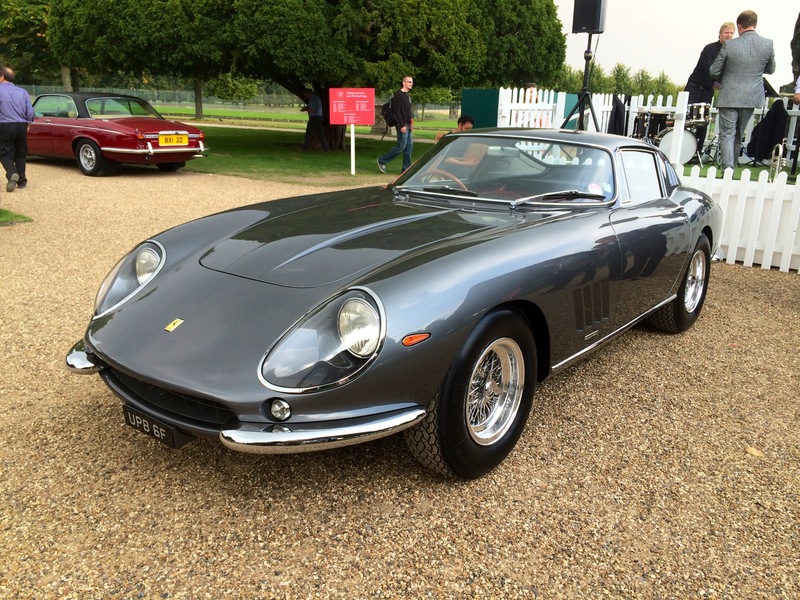 This immaculate Ferrari 275 deservedly won best in show from amongst the club entered cars. This one off Zagato Jaguar XK140 was built after its Italian owner (and friend of the Zagato family) bent the original body in a crash. Zagato hoped that Jaguar might order further cars but they did not. It is much better looking than an XK 140! 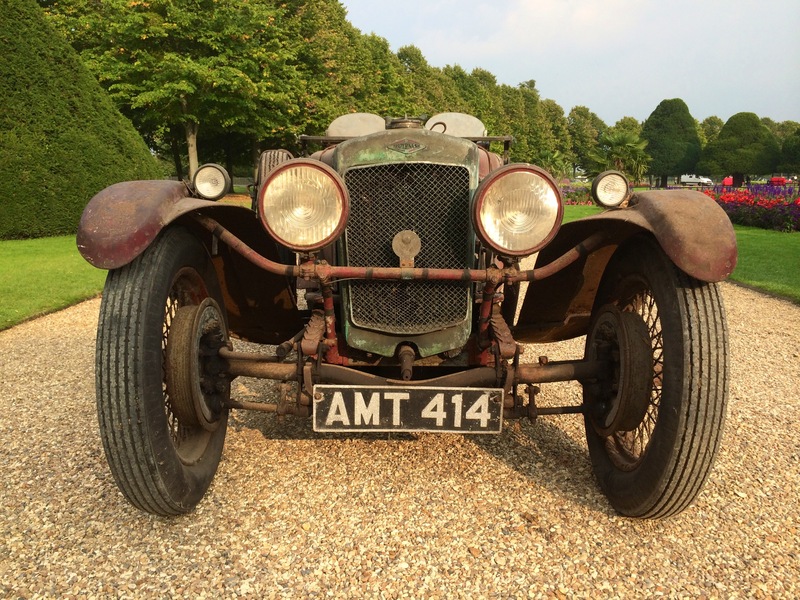 A car that attracted lots of attention was this barn find 1934 Frazer Nash. 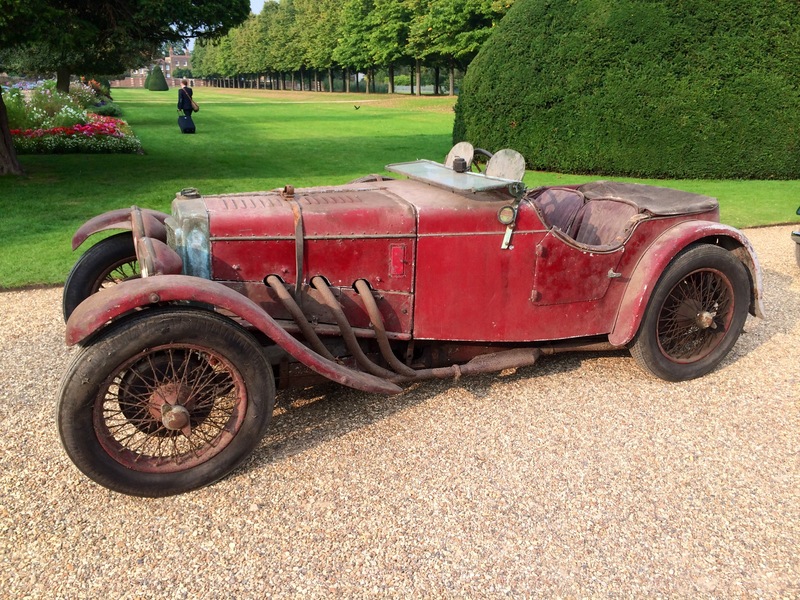 It belonged to an RAF officer and remained in his ownership until the current owner purchased it recently following the first owner’s death. Shabby but with oodles of patina, the current owner was asking for views on whether to restore it or not. I think its best to get the mechanicals sorted but leave the body as is. Its only original once! 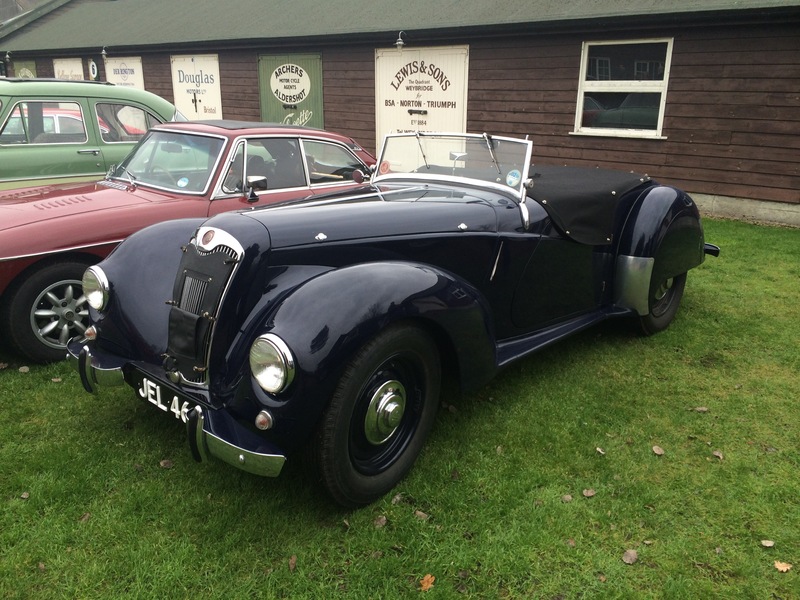 By contrast, here is a similar restored Frazer Nash. It looks brand new. 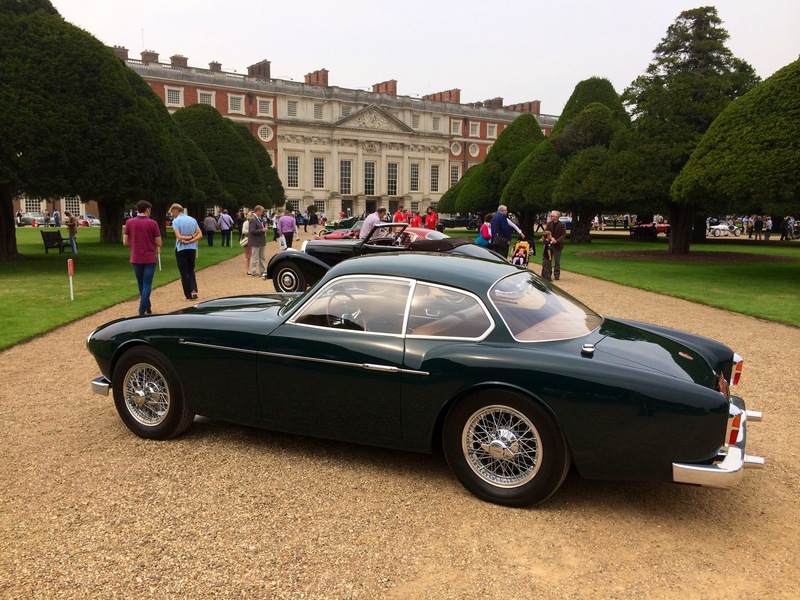 Another view of the beautiful Zagato Jaguar XK140 Coupe. 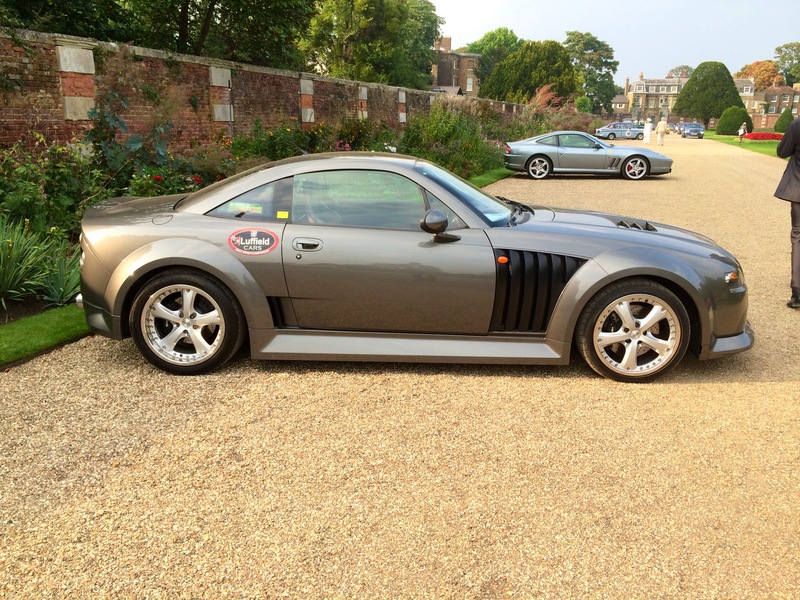 The Beast looking good – compare the lines with the Ferrari 550 Maranello behind.